Discover one of America's most fascinating cities through 30 dramatic true stories spanning Las Vegas's 150-year history. 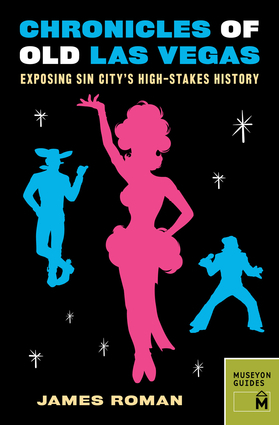 James Roman takes readers on a tour through the glamorous and sometimes sordid history of Las Vegas and explains how a railroad town transformed itself into "the Entertainment Capital of the World." Essays explore the major historic events from the founding of Sin City and the building of the Hoover Dam to the rise of the Rat Pack at the Sands and the establishment of the Mafia-controlled casinos. Also included are intriguing tales of Vegas celebrities from Frank Sinatra and Liberace to Siegfried and Roy, as well as numerous historical photos and full-color maps.